A.P. Moller-Maersk in collaboration with Microsoft, Ernst & Young and the data security company Guardtime have developed a blockchain-based marine insurance platform, reports Reuters. The product has successfully passed a 20-week proof of concept trial and is to be launched in January 2018, when A.P. Moller-Maersk begins using it for some areas of its business, along with insurers MS Amlin and XL Catlin, who were also partners on the trial project. Blockchain is a shared, encrypted database that allows users to securely record details of transactions or contracts in real time in several places at once, with no need for third-party verification. Although so far it has not been used much outside cryptocurrencies such as bitcoin, where the technology originates, blockchain has a huge potential of a revolutionary tool that can be used in various fields including global trade, shipping, logistics, financial services. “The maritime insurance, with its 400-year-old history, is one of the most inefficient areas of the insurance industry,” says Shaun Crawford, Global Insurance Leader at EY. The new platform is designed to simplify the sector, eliminate fraud, enable many different parties to settle upon the terms of premiums faster, reduce cost and risk across the entire insurance process. The platform is built on Microsoft’s Azure cloud-based technology and uses KSI, a solution developed by Guardtime, a blockchain platform company based in Amsterdam. “The significance of this from my perspective is this is the first real enterprise use-case for blockchain,” said Mike Gault, CEO of Guardtime. He comments that the blockchain is “absolutely essential” for this platform to function, as it guarantees that all parties – from shipping companies to brokers and insurers – have access to the same database, which can be integrated into insurance contracts. 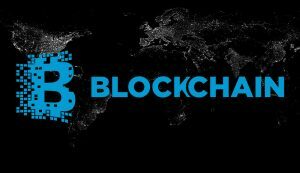 This experiment is another Maersk’s project to apply blockchain technology. Earlier, we wrote about its project with IBM to develop a new solution to manage transactions between shipping lines, shippers, freight forwarders, ports and customs. That product was said to be available already later this year.